This year (2013) Canadian regulators are expected to decide the fate of two West Coast crude oil pipeline projects. If one or both of these pipelines get the go-ahead then future expansion of Canadian production will be secure for a few more years and the export option to Asia will bring producers higher prices. The regulators face a single jeopardy – approve the pipelines or Canadian crude production expansion will decline. Producers face a double jeopardy if the pipelines are not built – lower production and lower prices. Today we discuss how critical the West Coast pipeline projects are to Canadian producers. In the first episode in this blog series about Canadian crude oil pipelines to the West Coast (see West Coast Pipe Dreams) we noted that Western Canadian Select (WCS) crude was being discounted by up to $40/Bbl against West Texas Intermediate (WTI). That is in part because capacity constraints on the Enbridge Mainline from Alberta to the US are resulting in rationing of space on the pipeline. Put simply Western Canadian crude production is exceeding existing pipeline takeaway capacity. That situation is likely to get worse before it gets better with as much as 250 Mb/d of new crude production expected online during 2013 and only 120 Mb/d of new pipeline capacity expected online (Alberta Clipper expansion in 2014) before the Keystone XL pipeline is built in 2015 (provided the US government approves it). 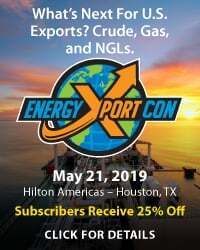 Meanwhile the traditional Canadian export market to the US is threatened by increased domestic shale crude production in North Dakota that has to share limited pipeline takeaway capacity to the Gulf Coast. Canada needs to find alternative outlets for its crude oil production. There is some offshore crude production (e.g. Hibernia) off the East Coast of Canada that is exported to the US and Europe but the volumes are small compared to Western Canadian production. The obvious choice for the expansion of exports is the Asia market - given its proximity to Western Canada – only 14 days away by tanker ship. Recent investments in Canada by Chinese, Indonesian and Korean companies underline Asian demand for Canadian production. Yet exports to Asia require new pathways across the Canadian Rockies to the West Coast. The pipelines that will form those new pathways are being planned but face extensive opposition on environmental grounds. Canada’s regulators face the single jeopardy that unless the pipelines are approved Canadian crude production cannot continue to expand. In the first part of this series we detailed the Kinder Morgan (KM) Trans Mountain project (TMX) that will more than double the capacity of that existing Edmonton to Vancouver pipeline from 300 Mb/d to 890 Mb/d. 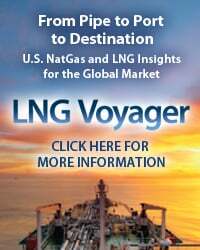 The TMX pipeline has already attracted strong shipper commitment of 700 Mb/d. If approved then TMX would come online during 2017. There is significant opposition to the TMX project from environmental groups concerned about oil leaks from the pipeline and from oil tankers off the coast of Western Canada, and from indigenous peoples' groups (A.K.A, aboriginal communities) who are generally concerned about any development that crosses their traditional lands. The second West Coast Canadian pipeline proposal is Enbridge’s Northern Gateway. The Northern Gateway Project consists of two parallel pipelines — one that would carry 525 Mb/d of heavy bitumen crude mixed with diluent (“dilbit”) westward for export and one that would bring 193 Mb/d of imported condensates inland for use as a diluent (see A Kinder Magic and Plains Trains and Diluent Deals for more on condensate as diluent). The $5.5 B Northern Gateway project would be entirely new construction running 730 miles from Edmonton, AB to Kitimat, BC on the West Coast (see map below). Enbridge is the dominant player in the Canadian midstream business. The company owns pipelines that transport 63 percent of US bound West Canadian crude production – accounting for 1.3 MMb/d of US crude imports in 2012. Most of that crude is shipped via the Enbridge Mainline – the largest crude oil pipeline system in the world. The Enbridge mainline extends into the US Midwest where it joins the Enbridge owned Spearhead pipeline that runs from Chicago to Cushing. Enbridge also own 50 percent of the (now 400 Mb/d) Seaway pipeline from Cushing to Houston, giving the company a complete crude oil delivery system from Western Canada to the Gulf Coast. 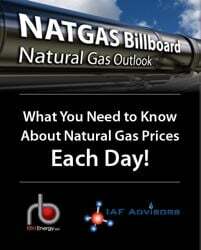 Enbridge also owns Canada’s largest natural gas distribution company. The Northern Gateway pipeline would extend Enbridge’s share of Canadian crude exports through a significant expansion into Pacific rim markets. Besides the pipeline, the project includes construction of a new deep-water port at Kitimat. The new port is designed to accommodate VLCC (over 1MMBbl) tankers to load crude and smaller tankers to discharge condensate. The tank terminal will include 14 X 500 MBbl storage tanks - 11 for crude and 3 for condensate. Like the TMX project, Northern Gateway has attracted opposition inside Canada in general and British Columbia in particular on environmental grounds that threaten the future of the project. An assessment of the environmental effects of the Northern Gateway proposal is due this year. After that the Canadian government must decide whether or not the project should be approved. The current expectation is for the regulatory and review process to finish by mid 2013. In that case construction would start by mid 2014 and the pipeline would go into service by 2017. Next we turn to the importance of the TMX and Northern Gateway pipelines to Canadian crude oil producers. In July 2012 the Canadian Association of Petroleum Producers (CAPP) provided a forecast of Canadian crude supply out to 2030 and detailed existing and planned pipeline takeaway capacity (see chart below). The supply (production) forecast (dotted line on the chart) includes estimated increased supplies of Bakken crude that share Canadian takeaway capacity to the US. CAPP estimated existing pipeline takeaway capacity plus local Western Canadian refinery demand at 3.9 MMb/d (red shaded area on chart). The CAPP chart shows the production forecast exceeding available pipeline capacity in 2013 – and as we have seen that is already happening as Enbridge is rationing pipeline space. The brown shaded area on the chart represents proposed pipeline expansions - to the Enbridge Alberta Clipper pipeline (120 Mb/d 2014), the Keystone XL pipeline (830 Mb/d in 2015) and TMX and Northern Gateway adding ~1 MMb/d in 2017 (since expanded to 1.1 MMb/d by an increase in the TMX capacity plans). The CAPP chart shows clearly that unless currently planned pipeline expansions occur Canadian production will significantly exceed pipeline takeaway capacity by 2014. As we mentioned earlier the current discount pricing indicates that the supply overhang is already happening. The Keystone XL pipeline would provide sufficient capacity through 2018 after which either the TMX or the Northern gateway pipelines will be needed. The political indications so far this year are a little wobbly on Keystone approval by the Obama administration – although the Governor of Nebraska has approved a new route for the pipeline. The fate of the West Coast Canadian pipeline projects is even less clear. The current sentiment seems to be that only one of these two West Coast pipelines will be built. The fact that the TMX pipeline is an expansion rather than a new build makes that pipeline the favorite for approval. All of our analysis has assumed that 100 percent of incremental Canadian production will move on pipelines. However, like we have seen in the Bakken, rail is assuming a greater role in the transportation of Canadian bitumen. In just the past year, the percentage of bitumen moving by rail has increased significantly. Both capacity and economics are likely to accelerate this trend. The economics aspect of the equation is interesting. The use of “coil” railcars that can be heated at the unloading terminal obviates the need for diluent, which reduces the transportation cost significantly – equivalent to pipeline transportation by some estimates. 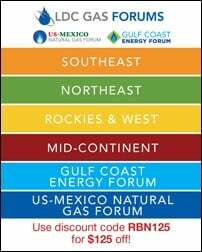 For example, at the Argus Crude Oil conference in Houston last week, Thomas Nimbly, CEO of PBF Energy (owner of three refineries in the Northeast (PADD 1) and Ohio (PADD 2) see Masterpiece Refining) said that his firm has ordered 1,600 coil cars with the intention of running unit trains from Alberta to its east coast refineries. We’ll examine the potential for this development to expand and change the pipeline capacity game in a future blog. We recently reviewed the West Coast crude market in the context of declining Alaska North Slope (ANS) crude production (see After The Oil Rush). 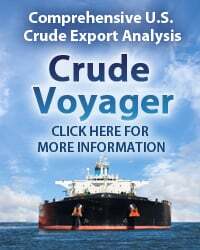 West Coast crudes such as ANS are currently priced internationally at a slight discount to Brent – considerably higher than WCS “dilbit” crude that is priced against WTI. Until recently WTI was priced at a $20 discount to Brent because of a supply overhang in the US Midwest. That crude supply backlog is unwinding as pipelines from the Midwest to the US Gulf Coast open up and the WTI/Brent discount is narrowing as a result (currently about $17/Bbl). As we noted earlier WCS has been discounted heavily by up to $40/Bbl against WTI. Add that discount to the Brent/WTI differential and WCS is priced as much as $60/Bbl below ANS. Clearly if Canadian crude can be exported from the West Coast then that huge price differential between WCS and ANS will narrow. 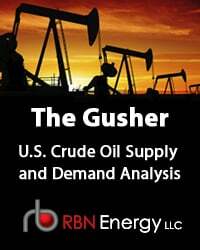 Remember that even if the projects are approved – they won’t be built until at least 2017 – so by that point we expect ANS to be more closely aligned with WTI than it is today. That alignment will result from increased domestic US crude production reaching West Coast refineries to back out internationally priced imports. If the West Coast pipelines are built then Canadian producers can expect to export crude not just to Asia but also to US West Coast refiners – competing with declining ANS production (see After The Oil Rush). Assuming that the export pipeline option relieves pressure on takeaway capacity then Canadian crude prices should recover close to WTI levels in 2017. Crude quality and market demand for the heavier WCS crude will play an important part in the relative pricing of WCS against WTI and ANS (a topic for another blog) but generally speaking Canadian producers should expect to receive higher relative prices overseas for their crude than they do today in the US. West Coast refiners will also benefit from an increased range of supplies and lower prices because of Canadian exports (as well as other US domestic production reaching them by rail). If Canada builds the West Coast pipelines they will not only achieve some diversity of market demand but they will also gain an advantage over the US by being able to sell crude into the export market. That is because current US rules place restrictions on crude exports that mean US producers are unable to take advantage of higher international crude prices. An interesting twist to the rival TMX and Northern Gateway pipeline projects is in the different approaches that they take to the supply of condensate for diluent. The Northern Gateway project has a twin pipeline that would deliver 193 Mb/d of condensate imports from Kitimat to Edmonton to use as diluent for heavy bitumen crude exports. The TMX plan includes no such condensate flow proposal. That makes sense in the context of KM’s project plans that we detailed recently to deliver condensate to Western Canada from the Eagle Ford basin in South Texas via the Explorer and Cochin pipelines (see “A Kinder Magic”). The value of that condensate will likely increase considerably if the Northern Gateway is not built and Canadian producers are reliant on US supplies. 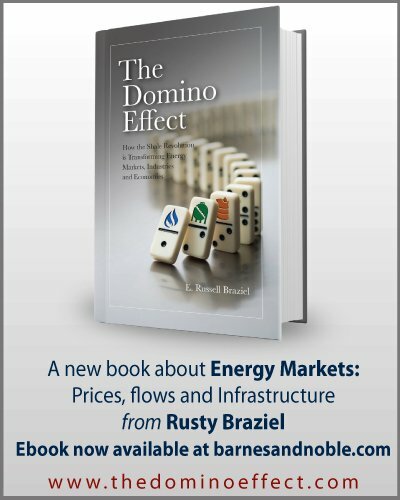 The fate of Canadian energy policy over the next decade is heavily intertwined with current efforts to open up new routes to market. US government foot dragging over approval of Keystone XL has already frustrated Canadian producers plans to expand access to that market. If the West Coast pipeline projects are similarly delayed or cancelled then future expansion plans for Western Canadian crude production will have to be scaled back. Without an export option from the West Coast, Canadian crude pricing will always be vulnerable to the power of a single dominant market - the United States. If built, the West Coast pipelines will bring higher prices for Canadian producers. They will also gain an advantage over US producers just because they can sell their crude overseas. A lot of things can happen between now and 2017 but unless at least one of the West Coast pipeline projects is approved then Canadian producers will face a “double jeopardy” of cutbacks to production expansion plans and continued heavy price discounts on their current production.